A TWIST ON A WATERPARK CLASSIC. 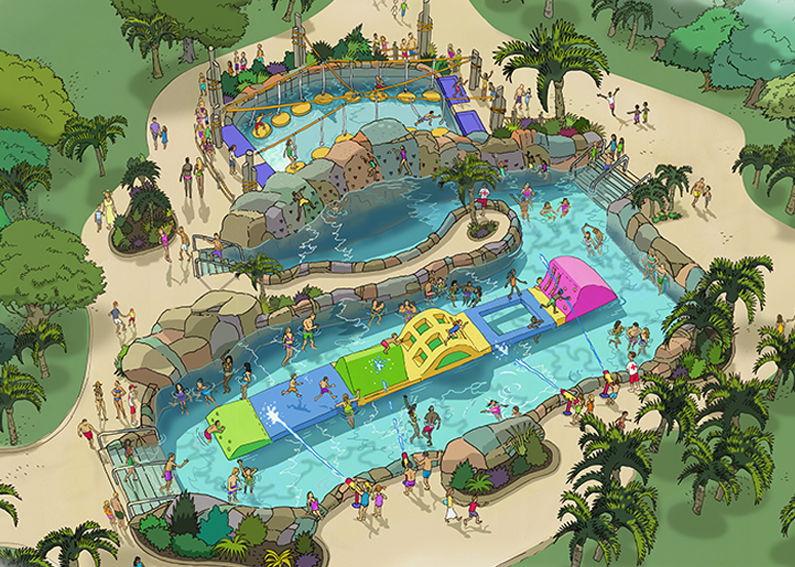 Twin Tides® Dual Entry Wave Pool is a one-of-a-kind water ride design and water park experience – unlike any other on the market! Make your park stand out with a truly unique attraction that offers something for every member of the family! 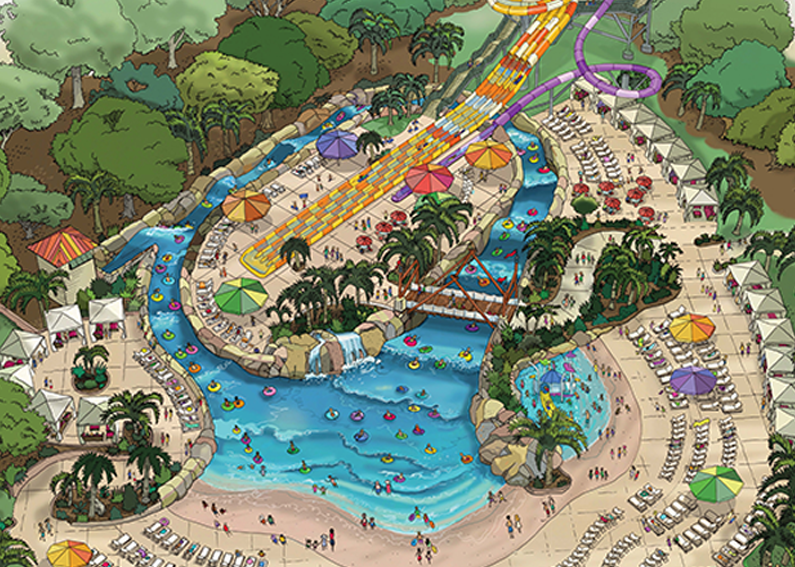 Flanked by beachfront on both ends, Twin Tides® takes advantage of a unique design and wave system configuration that enables you to double the capacity of your attraction without expanding your footprint. 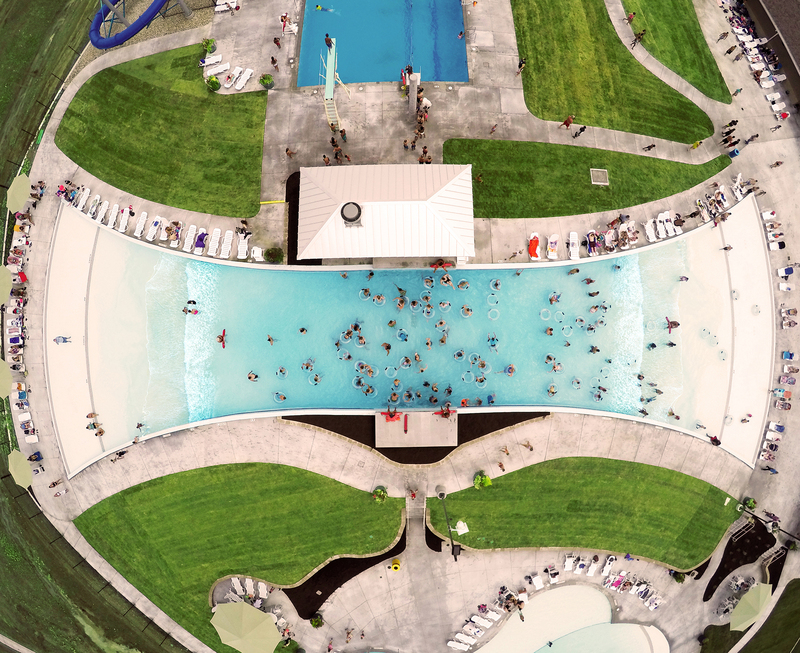 Easily access the wave pool from either end and offer your guests a one-of-a-kind experience as they swim through the currents. A 4ft shallow play area and gradual beach entry makes this pool easily accessible to all for the ultimate in family recreational fun. 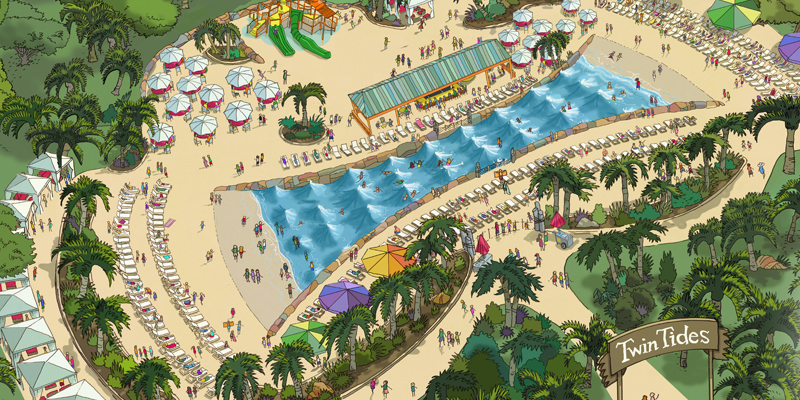 Go beyond the edge of the pool to capitalize on the appeal and capacity of this unique wave pool and create a complete park oasis designed with plenty of space for relaxation, entertainment and revenue generating opportunities. 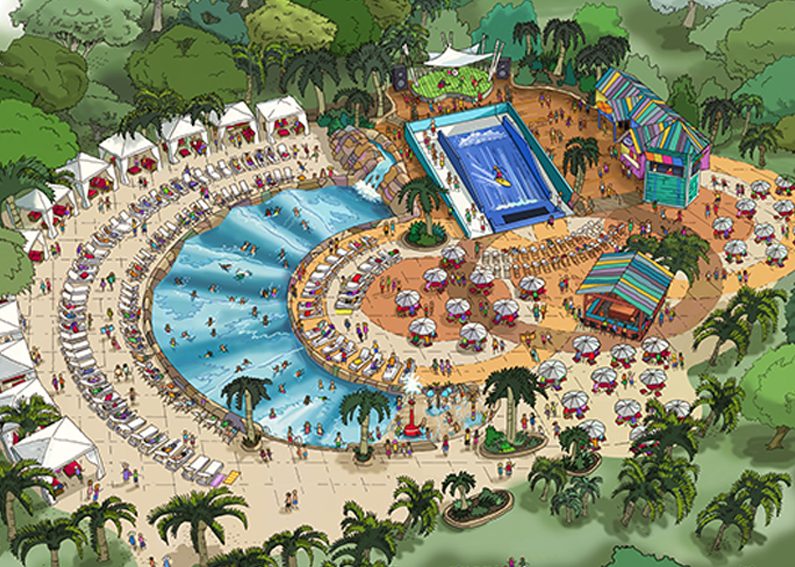 The ride design allows for ample decking space around the ride to include cabanas, shaded lounge areas and tables. 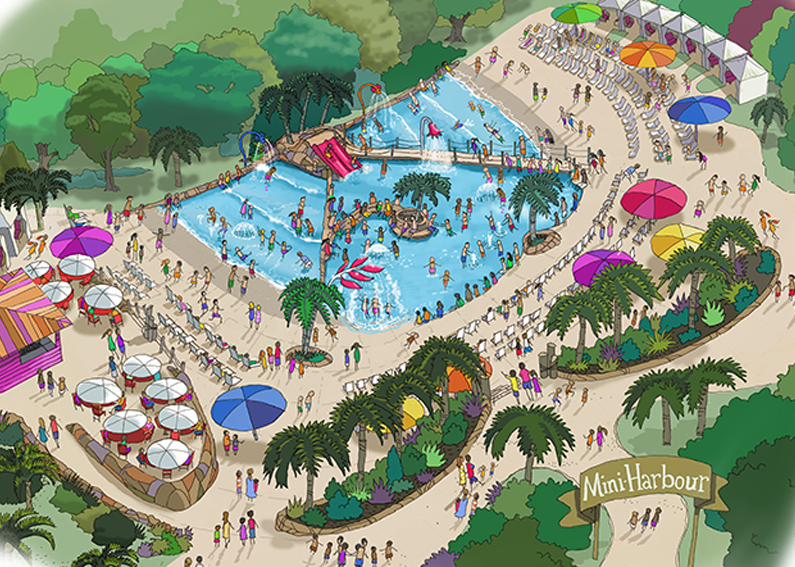 Incorporate a centrally located food and beverage complex for easy access, add on a children’s play structure to target the younger families, or a FlowRider to appeal to the teens and tweens, and you have the perfect family destination setting. 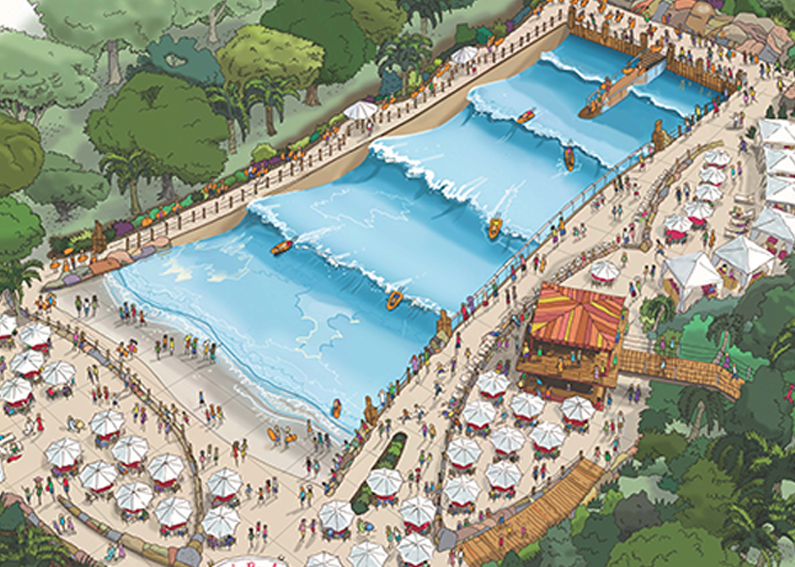 Splash Cove chose ADG’s new dual entry wave pool system, Twin Tides®, as the perfect solution for their new wave pool attraction. Unique and easily modified to fit within the existing space, guests can experience up to four different types of wave patterns and utilize the entire length of the pool, swimming from one end to the other.